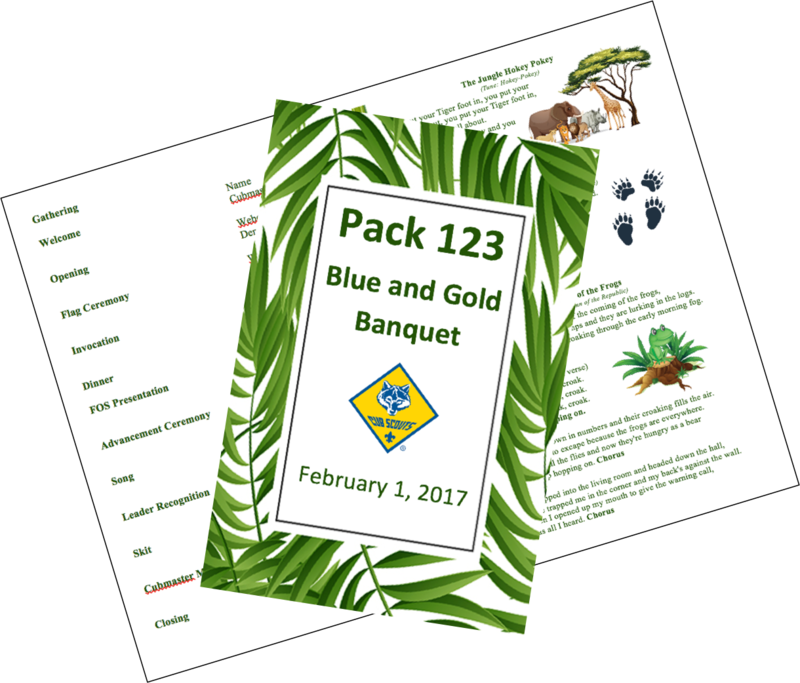 Encourage units to use the promotional placemats and blue and gold banquet ideas. Ensure that the day camp dates are included on the district calendar (paper and online versions). The district calendar is finalized by the February district committee meeting for 18-months out. Keep information up to date on the day camp page on the district website. Submit updates to the district webmaster or council webmaster. Put the URL for the district day camp page on all communications. Day camps are not allowed to have an independent website. 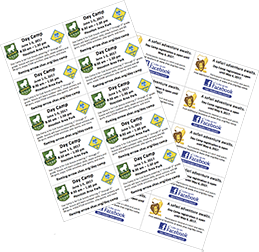 Distribute fliers to units at roundtable and district events. Customizable, themed fliers are available. Ask district committee members to promote day camp. Ask unit commissioners to promote day camp to their assigned units. 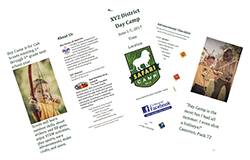 Have a presentation/display at May Program Preview for next year's day camp. Talk about day camp to everyone (one-on-one interaction and personal invitations are key). Ask all key staff to promote day camp and talk about day camp to everyone. Conduct promotions at blue and gold banquets. Make sure packs utilize the free promotional placemats at their blue and gold banquet. Day camps are not allowed to have their own Facebook page per the SHAC social media policy. Please utilize your district's Facebook social media sites to promote day camp.